Some times it takes just a balloon to keeps babies happy. Just hang it from the roof and let them play with it! 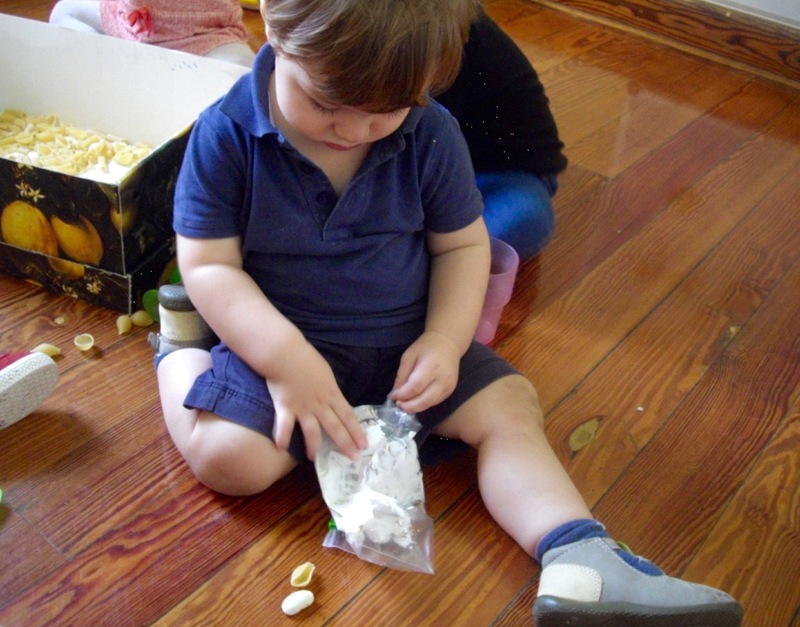 Babies in preschool love playing with life-derived loose parts! Fantastic sensory play with messy stuff, assisting them to discover the world. Babies enjoy playing with small pasta pieces, at the sensory table. However, they thought that the light yellow color of the pasta is a little dull and wanted to change it. But the question was, “how”? First, we picked our favorite liquid color and dropped it into little bags, together with the pasta pieces. To have a big success, we dropped a looooot of color! Then, we shook the bags. Babies observed that pasta pieces soon started to disappear! 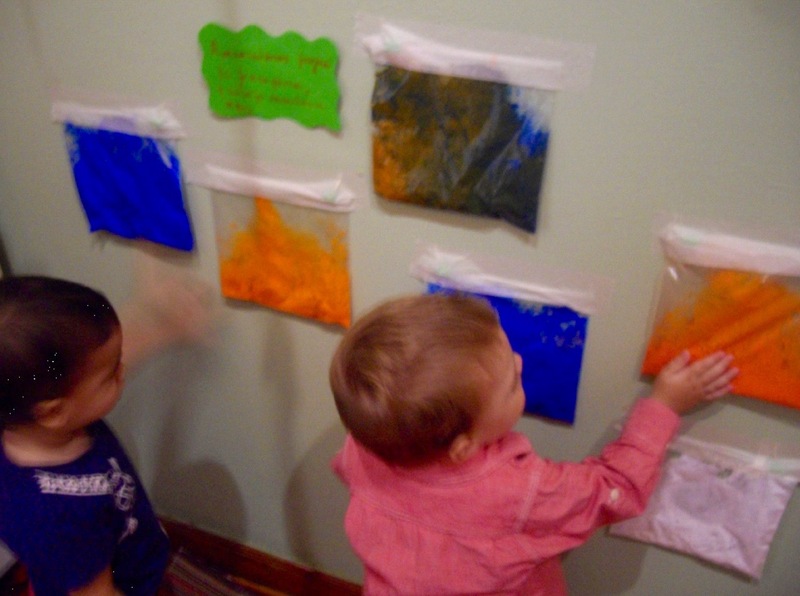 Babies tried then to identify the new content of the bags, by using all their senses. 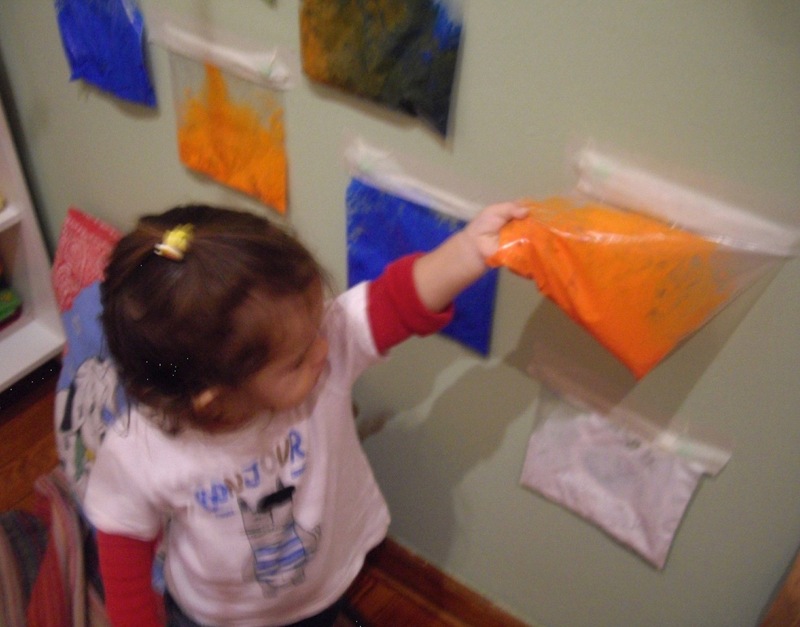 The colorful pasta bags were magically transformed into our new “sensory bags”! A new toy that we added in our class play equipment. A toy, made by babies themselves! 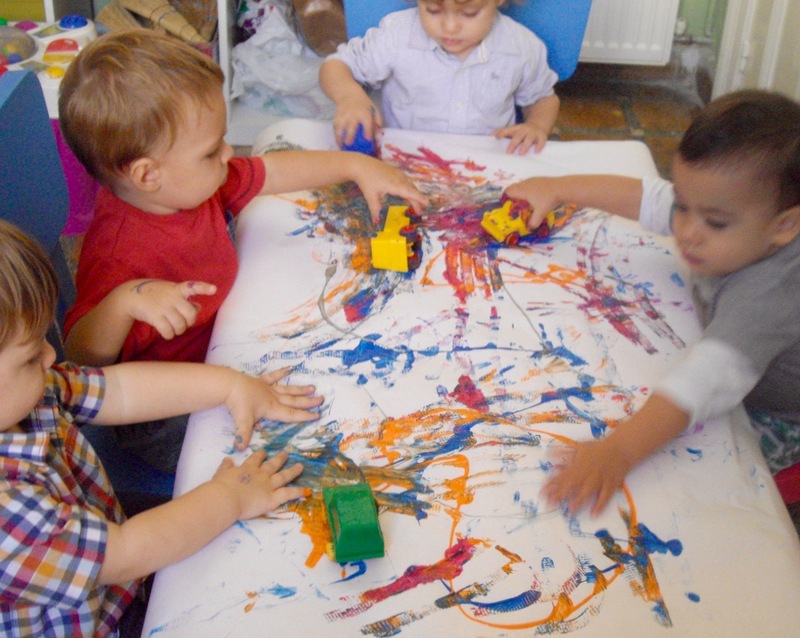 Drawing with cars is not just a fun activity for babies. 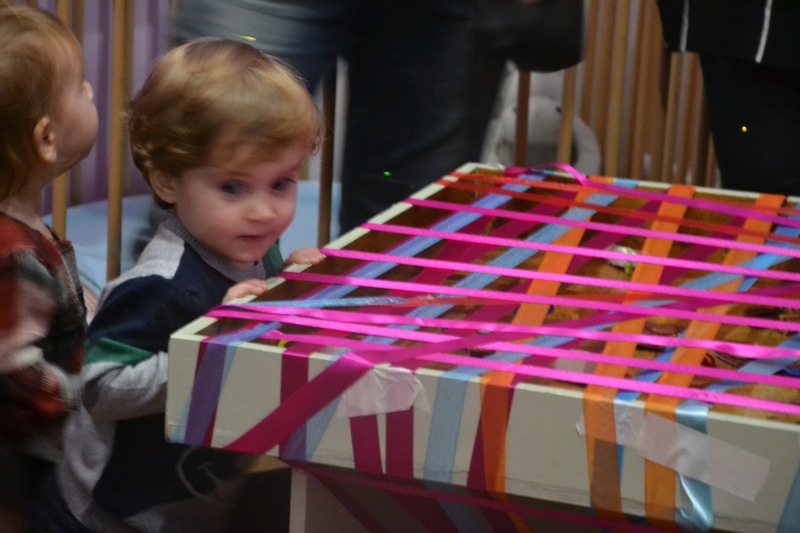 Looking deeper, someone realizes that through this activity babies interact one another, gain socialization skills, taste the car, throw it down to listen to the sound, and more…. We teachers, the only think to do is to observe all these different behaviors. 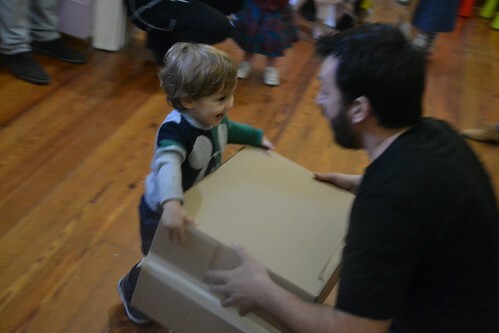 Just by evaluating children’ reaction in any activity, we learn so many thinks. 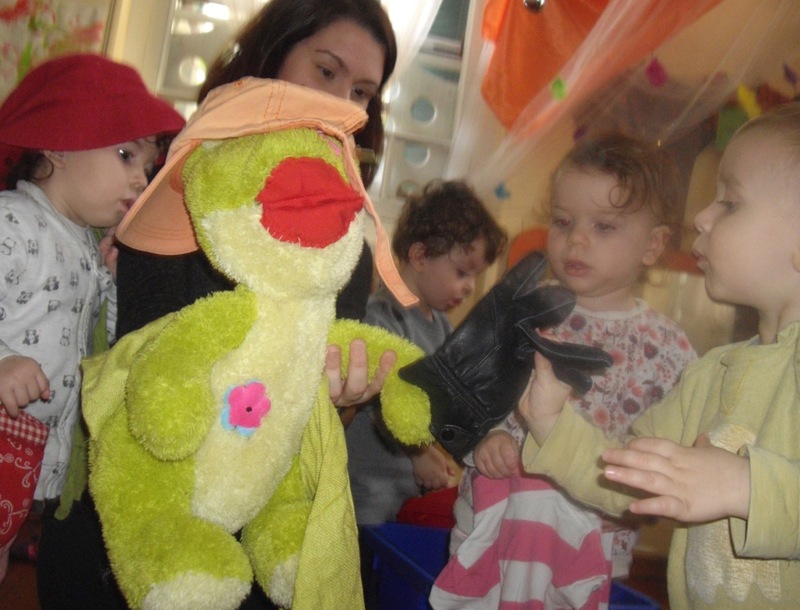 One day in babies’ class, “Frogy” the frog paid a visit, reading us the book ‘’Frogy is getting dressed’’! Children were very happy to see and listen to him and decided that they want to get dressed like Frogy! We opened the box and took out all clothes we had. Hats, scarves, bags, shirts, shoes…Every kid chose what he or she liked and put it on. Some of them even posed for a picture! 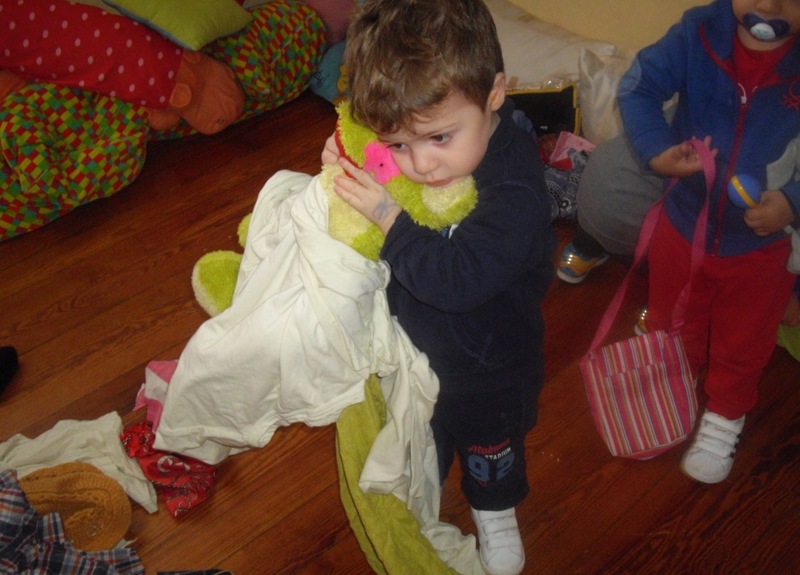 We all then helped Frogy to get dressed. 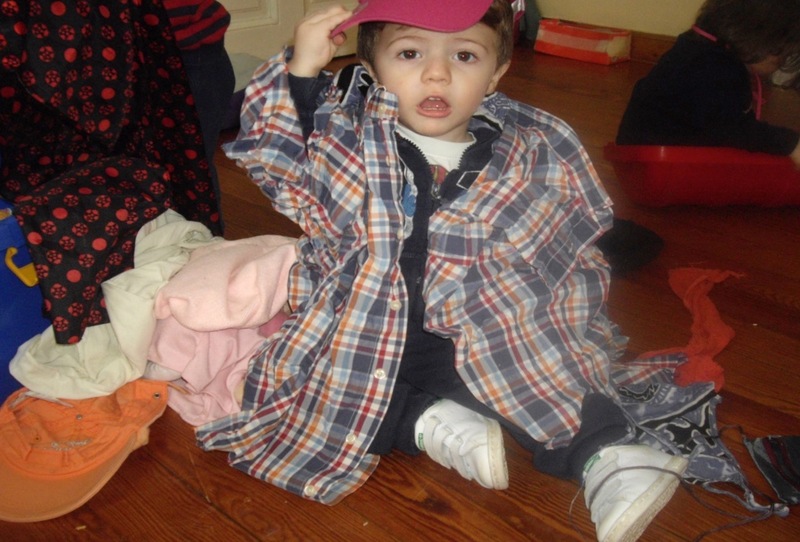 Kids worked so patiently and used their imagination in order to put on him as many clothes as they could! And when finished, we hugged our friend and we went for a walk in the yard, all dressed up!